There are several tracks available for sledging down the hill. You can reach the start of these tracks by different means, too. 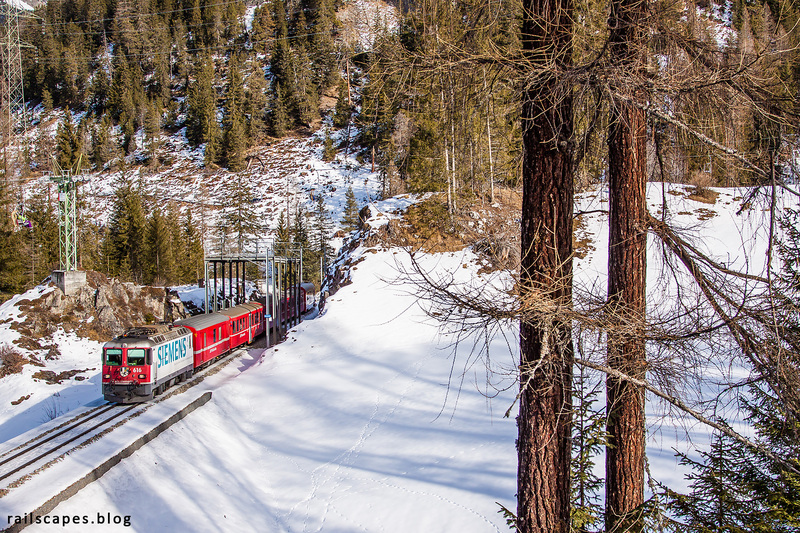 For the Preda – Bergün track, a special train takes you up the hill and drops you off at the station of Preda. For reaching the start of the other track, you need to use a lift. Both means can be seen on this photo: the shuttle to Preda is passing under the lift up the hill. A special construction was built to protect the passing trains from falling ski or sledge materials, and to shield the overhead wires.